Oh how I love deep red, juicy, addictively sweet organic strawberries! Combined with rich chocolate flavors and the added sweetness of bananas or dates, these strawberries will allure even the most diehard "carnivore." Oh! 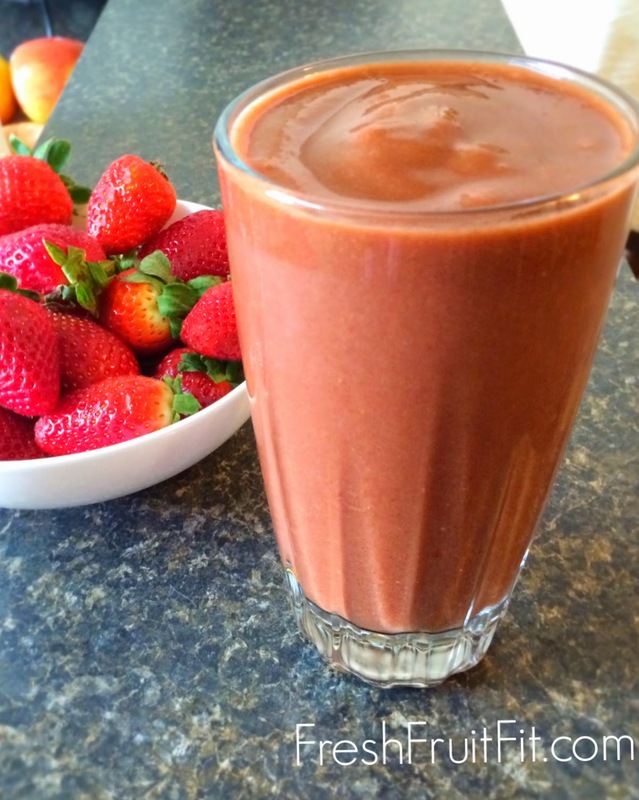 I just love this smoothie/shake! I just had to share the recipe with you! There's three ways to make it: with dates or bananas or both! Place all ingredients into the blender with the dates/bananas in the bottom. Pulse blend till smooth. Enjoy! Have any recipes you want "Vegan-ized"? Please comment below! And don't forget to share and Like if you like it! Subscribe to get FREE recipes and tips for a healthy lifestyle!